Foods you might not know contain gluten. Different people have different opinions on what contains gluten and what doesn't. If you talk to people they may know that flours and bread contain gluten but they might not know that beer and some sauces do as well. I have become used to reading every single label to double check the ingredients but some people I know still don't. Beer - The main ingredient in beer is wheat so it is definitely a no go. But thanks to the growing Gluten Free community, there are now lots of different Gluten Free Beers avaliable in supermarkets and even some pubs and bars. 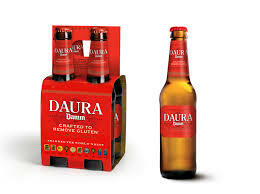 My personal favourite is Daura Damm. 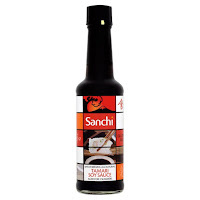 Soy Sauce - I was personally gutted when I found out Soy Sauce was full of Gluten. I used to put it in everything, from Stir Fry's to Vegetables. 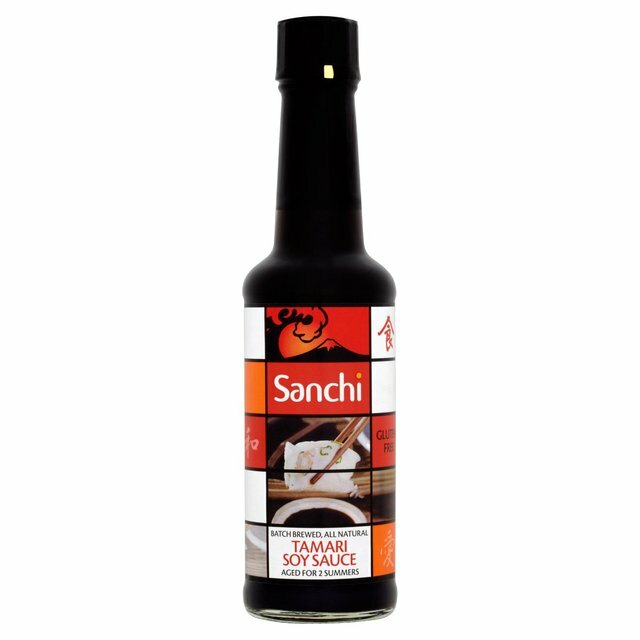 But when I visited the Allergy Show in London last year I found Sanchi Soy Sauce. Chocolate - Im not saying all of Chocolate is full of Gluten don't worry. Some brands use flour as a thickener or emulsifier. Galaxy I know is definitely not Gluten Free but I have heard that some people have found eating Dairy Milk is okay. Sausages - Sausage meat is usually bound together with breadcrumbs, hence why it isn't gluten free. If you go to supermarkets nowadays, there are plenty of brands now that are Gluten free. 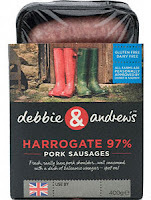 Tesco and M&S are the front runners foe Gluten Free Sausages. But my Favorite brand is Debbie & Andrews. Medicines - Some medicines use gluten as a 'binder' to keep the tablet held together. Not all medicines and tablets contain Gluten but its always best to check the ingredients or ask a pharmacist. 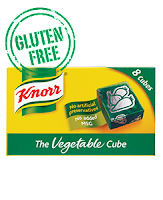 Stock Cubes - Stock cubes are full of wheat so you need to steer well clear. 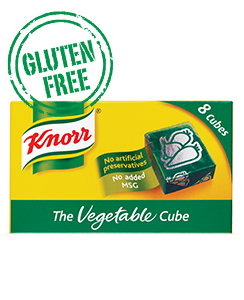 However, Knorr now label a lot of their stock cubes 'Gluten Free'. My particular favourite it the Vegetable one to add into rice and pasta dishes. Oats - Now this one is tricky, Oats are naturally Gluten Free, its just the way that they are grown. Many people that grow oats, also grow Barley near by, which is not gluten free. So there becomes a cross contamination issue. 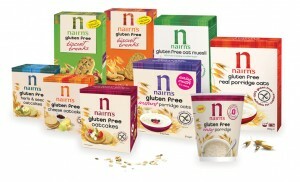 Instead, there are loads of different brands which offer Gluten free oats. My favourites are either Neals Yard from Holland and Barratt or Nairns. Salad Dressings - A lot of salad dressings from supermarkets contain flour as a thickener again. However, making your own sauce tastes a lot better and is a safer bet. I love Tahini on my salads. Nuts - Most nuts are okay, its just the Dry Roasted kind you need to watch out for. There is the risk of flour/wheat in the coating of the nut. Instead, try some raw nuts, they're much better for you! Ham/processed meats - If you get a proper cut of Ham then there should be no risk of any Gluten being added. However, just be careful and read the labels, and obviously stay away from crumbed and breaded hams. Hope this list has been helpful for you. My only advice would be just to double check every label. It never hurts to double check and can reduce the risk of any contamination.